There are many types of fishing boats available, and choosing the right one is crucial to your long-term enjoyment. Here’s a quick guide to help you find the right boat for your needs. 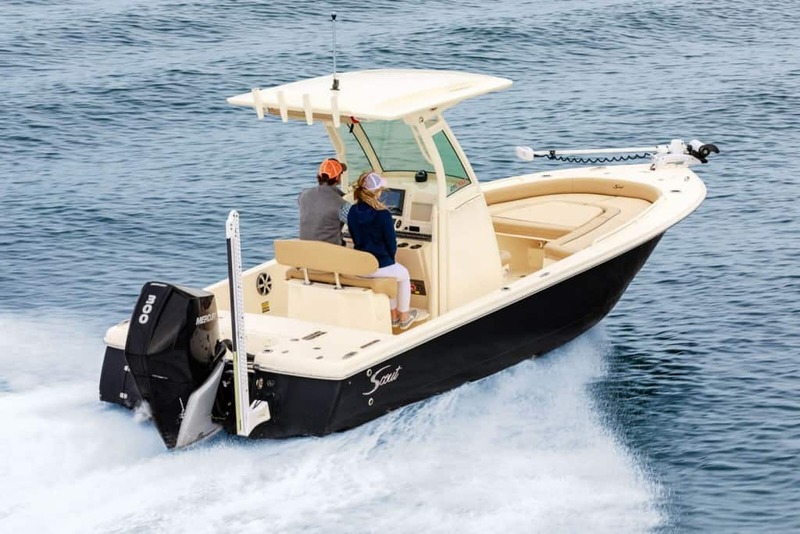 As one of the most popular types of fishing boats, the center console is seen in a variety of waters and can be designed to fit numerous purposes. 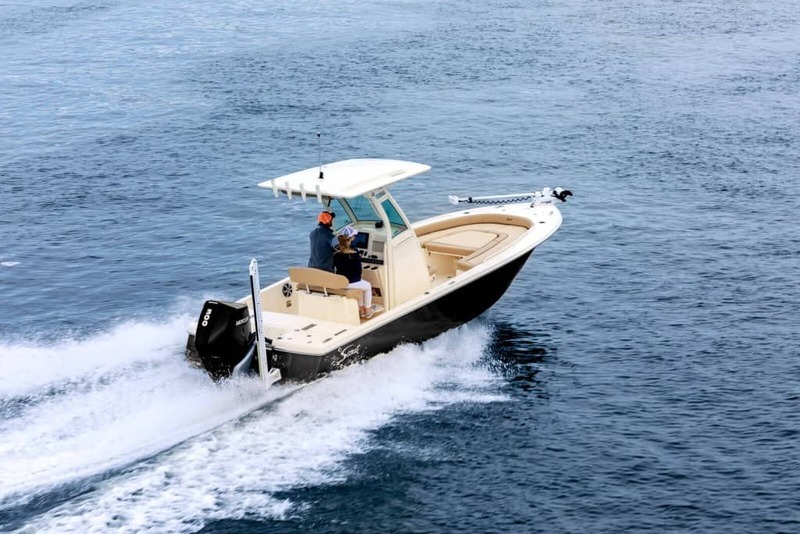 As opposed to a console on each side, the center-console boat has the helm directly in the center, which allows for 360-degree access to the water. 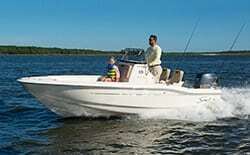 This type of boat is ideal for fishing, as it offers more floor space and the ability to cast at all angles. 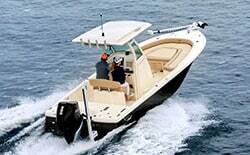 The opposite of a center console is a dual console, which has its own advantages as a fishing boat. 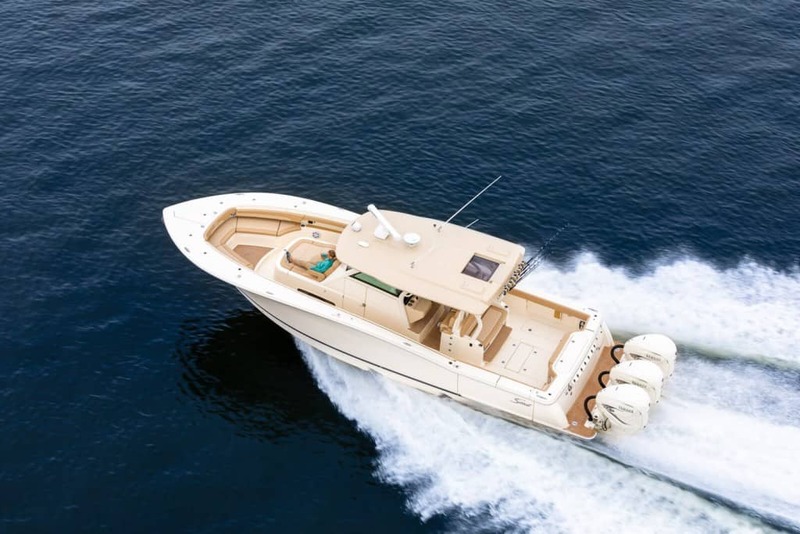 With casting access at the front and rear, these boats still allow for excellent fishing—but they usually have more seating and, depending on the design, more storage. 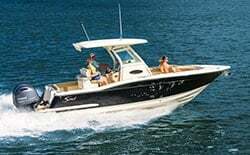 In general, these are great all-around boats, ideal for both fishing and leisurely boating, while the center-console design is usually preferred by dedicated anglers. 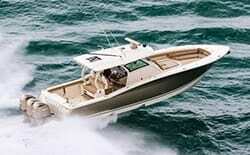 Designed to handle deeper waters and travel further from land, offshore boats are ideal for long trips on the water. 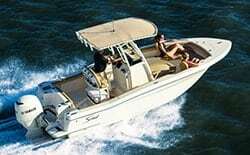 Size is the most obvious feature to these types of boats, as they have adequate size to handle large waves and rough chop without putting passengers in danger. 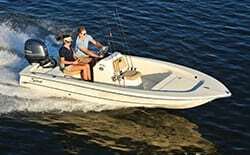 Offshore boats generally have features (either standard or optional) for catching large fish, including outriggers for fishing multiple lures in the water. 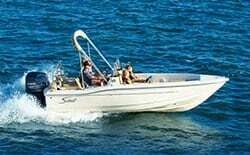 At the smaller end, you will find a type of boat that is ideal for fishing shallow water: the flats-fishing boat. Intertidal flats and other shallow areas offer some of the most active and exciting fishing, but you need a lightweight boat with a short draft. 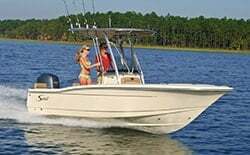 Flats-fishing boats generally have fewer conveniences and luxuries, which helps them maintain a nimble, maneuverable profile. You will, however, have a variety of essential fishing features, including rod storage and live-wells. 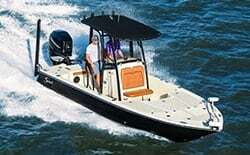 These vessels are essentially the compromise between the larger offshore boats and smaller flats-fishing boats. They are designed to maneuver easily but also have a size that can handle larger waves. They usually have a good balance of features as well. While they won’t have all the luxuries you find in an offshore fishing boat, you will have a handy array of useful amenities, such as conversion tables and ample rod storage. Most of all, you’ll have a boat that can handle almost any conditions, including relatively shallow waters, bays, and nearshore areas. On clear, calm days, these boats can travel to offshore locations, but they usually don’t have the range of larger boats. 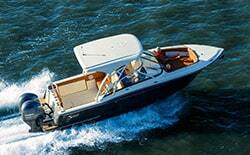 Find The Right Boat For You At Scout! If you want help finding the right type of fishing boat for your needs, contact Scout Boats today!